Having a technical mindset when it comes to cow feeding is a must for the efficient farm. Precisely monitoring exactly what goes into the mixer wagon, how much cows are eating and how that translates into milk produced should be second nature to all dairy producers. That is according to nutritionist Bruce Forshaw, of Harpers Feeds, who believes tracking ration Key Performance Indicators (KPIs) and adopting feeding technologies are essential. That means planning grazing budgets and tracking grass growth in the field using monitoring tools such as grass plate meters (see page 12) and also embracing feeder wagon and cow-mounted technologies to see how feed is being mixed and utilised. At the same time, getting the basics of feed management right remains a must. Mr Forshaw believes the continued development of more precise rationing programmes and new forage analysis parameters means there is an even greater need for herd management to ‘keep up’ and become more precise. Mr Forshaw believes staff training forms the foundation to successful feed management on-farm. As such, sitting down and explaining why clamp management is important (see page 12) and how cow health and the bottom line could be impacted by feeding incorrectly should be a priority. 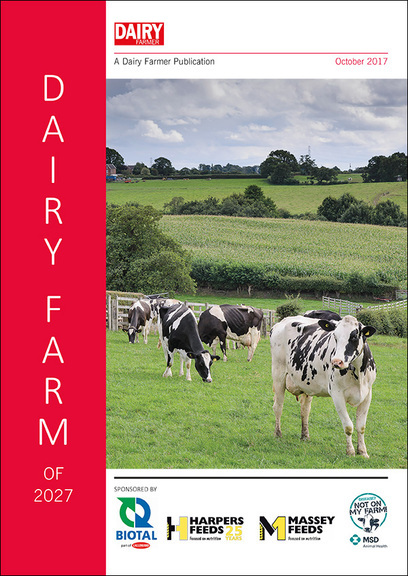 This article is part of the Dairy Farm of 2027 series which looks at what the future may hold for the industry. Clamp management: Try and maintain a clean face to avoid wastage. Use sheer grabs, rather than a bucket and work across the clamp quickly. Water: Reduced water intakes quickly lead to reduced feed intakes. Provide plenty of clean, fresh water and drinking space and make sure troughs are easy to clean (tipping troughs work well). Stocking rates: High stocking rates and insufficient feed space lead to bullying and reduced intakes at the feed barrier. Think about the ratio of feed space to cubicle space. Aim for 95% stocking rate. Ration mixing: Train staff on the hows and whys of ration mixing. Consider using ration monitoring technology and think about rewarding the most accurate staff. Ration acid load: When too high, this can lead to acidosis and variable intakes. Aim for an acid load figure of below 50 in the overall diet. This can vary from 40-65 between farms. When too high, assess cow cudding rates and reassess ration fibre levels. Fibre index: This needs to be more than 100. When incorporating high levels of straw, think about precision chopping to prevent sorting (for example, 2cm long). Technology can also play a useful role in promoting efficiencies. For example, there are a number of mixer wagon technologies which tell staff exactly what ingredient to put in next, how much is needed and how long it needs to be mixed for. The development of rumination collars and rumen pH and temperature monitors also have the potential to aid rationing decisions. “If cows aren’t ruminating enough, it’s likely butterfats have dropped too. The next step is to look at the mix and see if it’s been over processed, have we got the ration wrong, do we need more fibre or is the wagon not being loaded right” Mr Forshaw asks. When it comes to rumen pH monitors, a sustained drop on a once-a-day feeding system may influence the decision to move to twice-a-day feeding, for example. Mr Forshaw believes these types of technology have the potential to promote better communication between farmers and nutritionists. At present some farmers grant nutritionists access to mixer wagon technology which enables rations to be tweaked remotely, saving time. While, at present, there are a limited number of software packages which can be linked together, Mr Forshaw believes in the future, there will need to be better linking of parlour and mixer wagon systems so that farmers can more accurately benchmark and track feed conversion efficiencies and cost of production. In the meantime, he emphasises the importance of sitting down and working out ration KPIs in order to monitor and review performance. Milk from forage is one such parameter which all businesses should be looking to maximise in order to protect themselves against volatility (see page 8). He also believes more farmers need to start thinking in terms of ‘energy corrected milk’ (ECM) rather than simply yield. By correcting milk production to a standard 4% fat and 3.3% protein, this creates a level profile across the industry for national benchmarking and also increases the focus on constituents, which are becoming increasingly important to processors. Calculating ECM also enables feed conversion efficiency (FCE) to be worked out (see calculations panel, below). Mr Forshaw believes FCE is the number one parameter which should be tracked on-farm and all producers should be targeting a FCE of 1.4-1.5. This means a cow is producing 1.4-1.5 litres of milk for every 1kg of dry matter intake (DMI). Initial analysis of a sample of Mr Forshaw’s customers’ farms found herds with an average days in milk (DIM) of 180 had an average FCE of 1.25-1.3, with the best at 1.4- 1.45. “If you’re at 1.2-1.3 there’s room to move up. There’s no reason why you can’t be at 1.4-1.5. To identify ways to improve your FCE, start by looking at the ‘big wheels’ like clamp management and staff training and then look at the ‘little wheels’, such as ration acid load and fibre index,” he explains (see panel, below). Better ration consistency and improved feed conversion rates are just some of the benefits seen by Cornish producer Richard Martin since introducing a feed tracking system onto the mixer wagon at Martin Dairy, St Mabyn. For Richard, sister Emma and mother and father Donna and Timmy, such technology is part of an ongoing drive to boost efficiencies on their 950-cow farm. They are willing to adapt to suit market situations and long-term lifestyle choices, while making the most of their farm location. As a result, the family instigated a complete system shake-up. Yields have dropped from 9,500 litres to 8,200 litres a cow, the Holsteins have been crossed to Norwegian Red and the all-year-round calving system shifted to an autumn block. Despite the change, the family remains committed to the ration monitoring system on the wagon, which quickly proved its worth when installed about seven years ago with FCE going up by 0.1 in a month. Currently the farm is achieving 1.41. Numerous rations can be formulated and uploaded to the cloud where they are downloaded onto the computer box on the mixer wagon. The box then displays what ingredient needs adding to the wagon, how much and for how long it needs mixing. With up to six to seven different rations being mixed each day, this removes mixer error. Mixing information is also fed back so feed management can be tracked. This means cows get the same ration everyday and any problems can be addressed. For example, one week, milk quality started fluctuating. By looking at the data, Mr Martin was able to see that the amount of rolled wheat added to the ration was 30% out on some days. He was then able to clearly illustrate the effect of feeding to staff. Mr Martin admits there was some staff resistance at first as they felt they were not being trusted, but now ‘they wouldn’t do without it’. He also believes the ability to record in such a way is a must for all dairy farmers moving forward. Overall, he thinks consistency has been the main benefit of the system. “FCE is a lot more consistent now, rather than peaking and troughing. A cow takes two weeks to get used to the ration. The fact it ‘s the same everyday means she just ticks along,” he says. For example: 30 litres/20kg DMI = FCE 1.5 (so 1.5 litres of ECM milk is produced for every kg of DM fed). If you are able to raise your FCE, there is the potential to increase the number of litres produced for the same amount of intake. 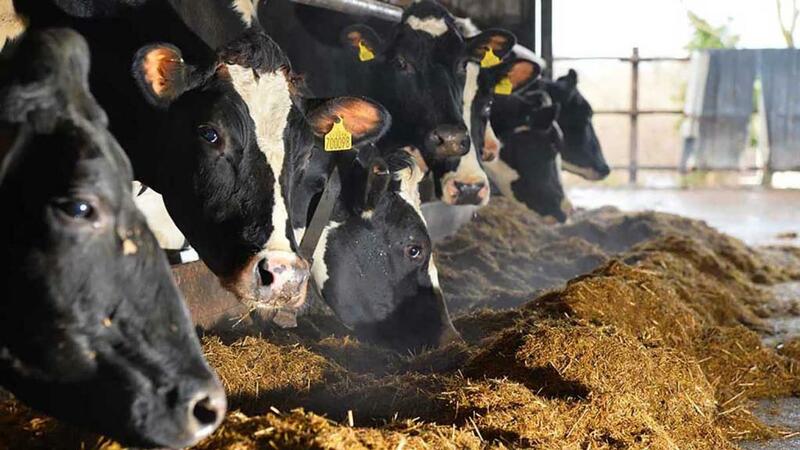 Concentrate fed/0.45 = yield from concentrate, so therefore what is left of the total milk yield is M+ from forage For example: 8kg concentrate/0.45 = 17.8 litres, so if the cows are averaging 30 litres, 12.2 litres is the milk from forage. This assumes all milk is 4% fat and 3.3 protein and all concentrate is 13ME (DM) which is another reason to move towards using ECM.